China was once called the sleeping dragon, but it proved otherwise when it rose to become the Asian economic powerhouse it is today. With vast resources, unlimited manpower, and innovative technologies, it quickly became a global player, capable of influencing market movements and decisions. 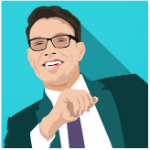 Its impact spreads across numerous industries, and it did not spare the Bitcoin market. At present, China holds a significant share of the world’s cryptocurrency transactions, with reports presenting the Chinese Bitcoin market to comprise more than 80 percent of Bitcoin and altcoin dealings. Slight changes on the Chinese market, therefore, may significantly affect the global scene, and have the effects to manifest in the cryptocurrency setting. There was an evident shift in Bitcoin price a few days ago after the People’s Bank of China (PBOC) lowered the interest rate of yuan, which resulted in its devaluation. Investors opted to exchange their yuan for Bitcoin in an effort to save the equivalent value of the amount, thereby registering a strong movement in the BTC/CNY chart. Analysts see yuan holders will convert their fiat money to Bitcoin then possibly exchange them either back into yuan or to US dollar. The choice will depend on the performance of the digital currency on the market, where a positive movement will force investors to convert Bitcoin to yuan while a price decrease will present the US dollar conversion as the better option. With the yuan devaluation affecting the global market, China’s strength becomes evident. This is further realized in the effects imposed on the Bitcoin market, of which Chinese bitcoiners are largely responsible of pushing closer to reaching the digital currency’s goals. There is no question to China’s vital role in Bitcoin success, and this raises the concern of whether or not to regulate the cryptocurrency. Is China ready for Bitcoin regulation? For some, the word ‘regulation’ alone, when used in the Bitcoin context, is reason enough to be on the defensive end. This explains the sentiments after Huobi CEO Leon Li published a journal that pushes for Bitcoin regulation in China. Li said the legal barriers imposed by PBOC hinder the growth of the Chinese Bitcoin market on the local scene. Its market, which houses the world’s largest trading and mining operations, is filled with potential, and this is the reason he believes regulating Bitcoin is high time. One of the largest Bitcoin exchanges in China, Huobi continues to provide services after the PBOC ban, and its CEO is determined to forward secure payment systems that cost less on the end of the merchants and consumers. Other than this Bitcoin exchange, BTC China and OKCoin are some of the major players on the Chinese Bitcoin market that are yet to express support for Bitcoin and cryptocurrency regulation. 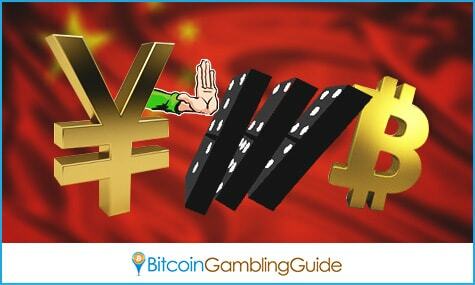 China’s power on the Bitcoin market is evident, but how this will work for the Bitcoin gambling sector within and outside the country remains a question. The Asian giant is known for its strict gambling policies, despite the illegal gambling market that continues to strip off significant income from the government. Macau functions as the newest gambling hub while Hong Kong continues to become a supporter of legal offshore gambling. 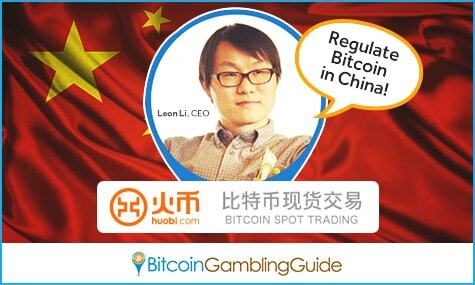 The Bitcoin gambling industry in China, however, has not yet fully established a strong foundation, which explains why a regulation may further impede its growth. Regardless, the influence China has on the market price, even that of Bitcoin, presents a myriad of opportunities for the thriving industry to expand in Asia. Should the Chinese Bitcoin market establishes itself as the biggest supporter and promotor of the cryptocurrency, what the future of Bitcoin and the cryptocurrency in general will be becomes truly worth waiting for.